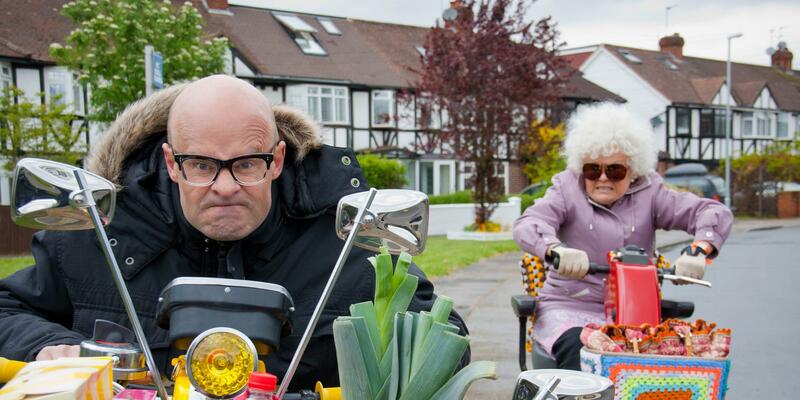 Harry Hill’s first movie, called The Harry Hill Movie, is released in the UK on Friday (20th December). The film also stars Julie Walters, Matt Lucas and Julian Barratt as Conch. The story revolves around Harry’s pet hamster who he believes only has one week to live, and Harry’s evil twin brother (Lucas), who was brought up by Alsatians. Harry and his Nan (Walters) decide to take the hamster to Blackpool, and during this bizarre road trip they are pursued by a deranged vet (Simon Bird), Harry falls in love with an undersea shell person (Sheridan Smith) and they meet doggy superstars The Dachshund Five. There is also an appearance by The Magic Numbers as proprietors of a B and B! So if you fancy a bit of pre-Christmas (or post-Christmas) madness, why not go along and see the movie?